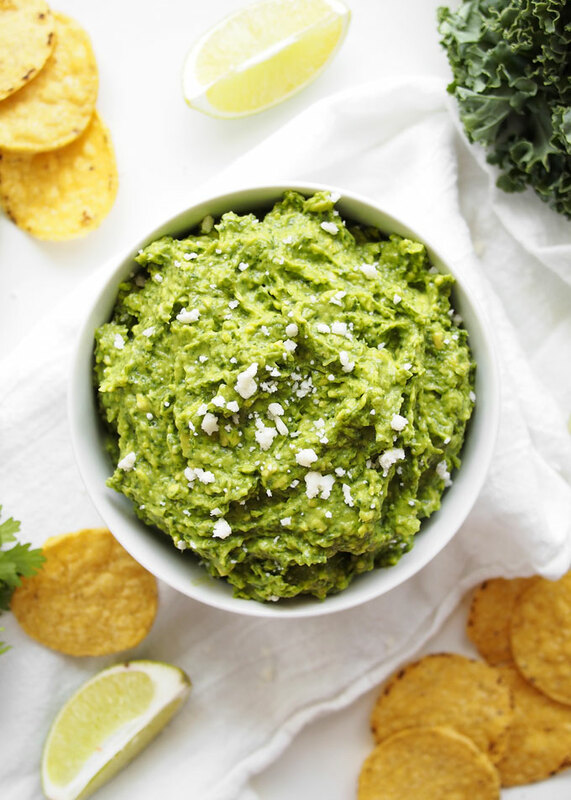 Let’s get one thing straight here, right off the bat: This kale guacamole is still firmly rooted in the AVOCADO camp of guacamoles. 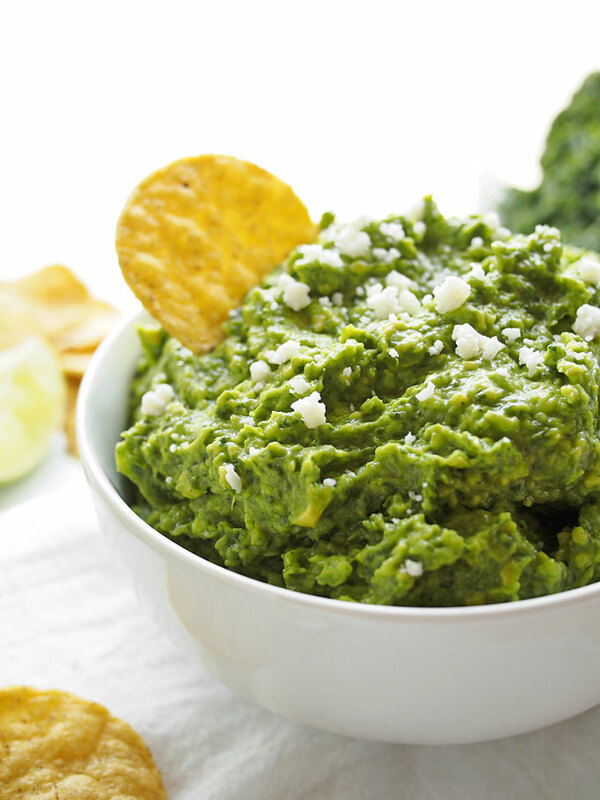 You could make this with spinach! I’ve done it! It’s delicious. I guess you really could make it with whatever greens you have on hand — collard greens, beet greens, swiss chard… I see no reason to stop with kale and spinach! 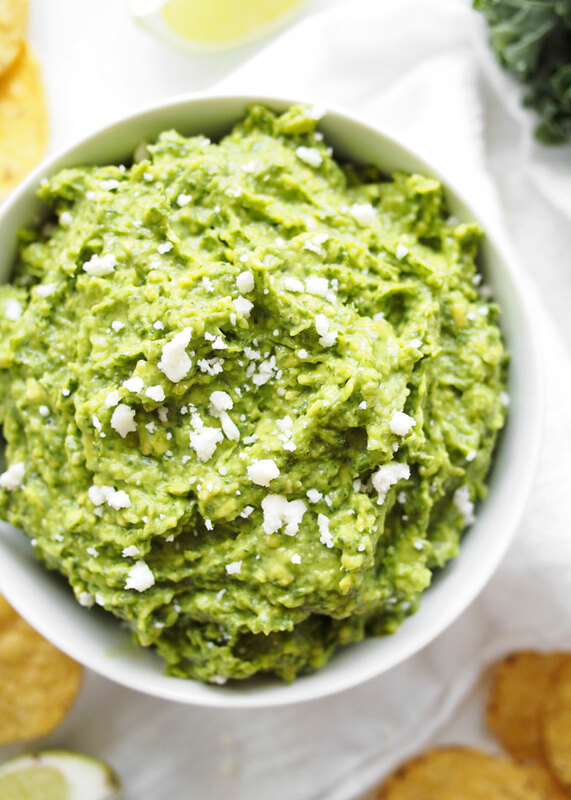 And I’ve already given you plenty of guacamole tips, but in case you weren’t paying attention in gauc 101: YOU DO YOU, BOO! Add more spice if you want it! Or, (break my heart), omit the spice altogether! Want it more limey? Add more lime. Want to put some cojita on there? YEAH GURL! Ever put smoked paprika or some adobo sauce in there? TRY IT OMG. Lemme know what weirdo creations you come up with. 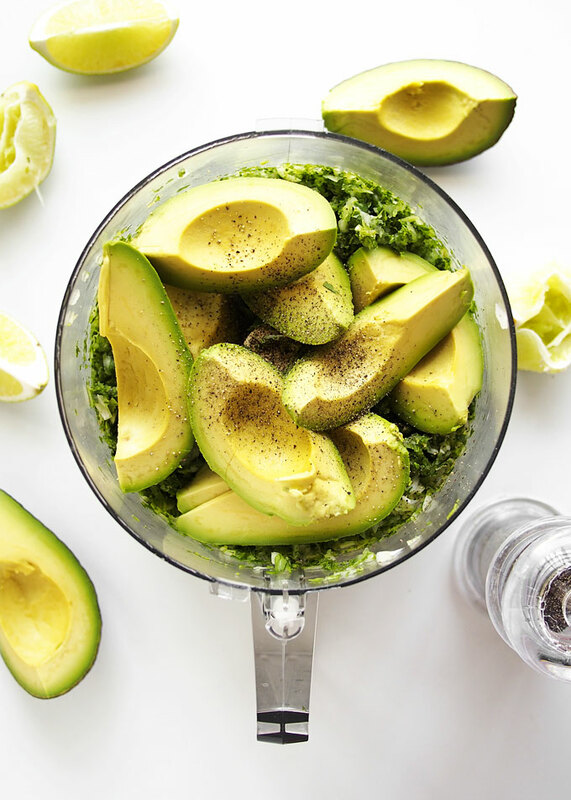 Maybe we can have a guac-off. 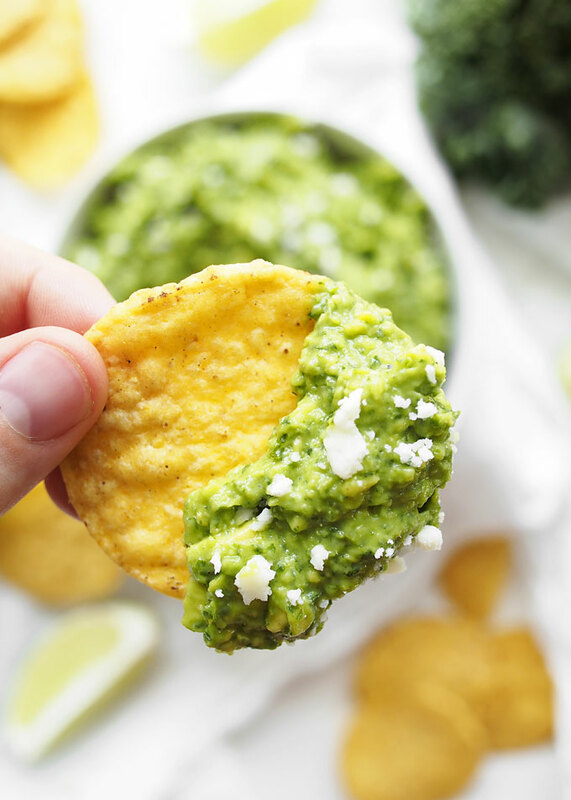 Did you see that whole thing about Obama calling out Bon Appetit on pea guacamole? This totally reminds me of that! Ha! But not in a bad way! I think this sounds legit. And I think I could eat avocado with anything and be down. This seriously is making me want Mexican for dinner! !